1.Aspheric and free-form surface design, processing, insp-ection and application. 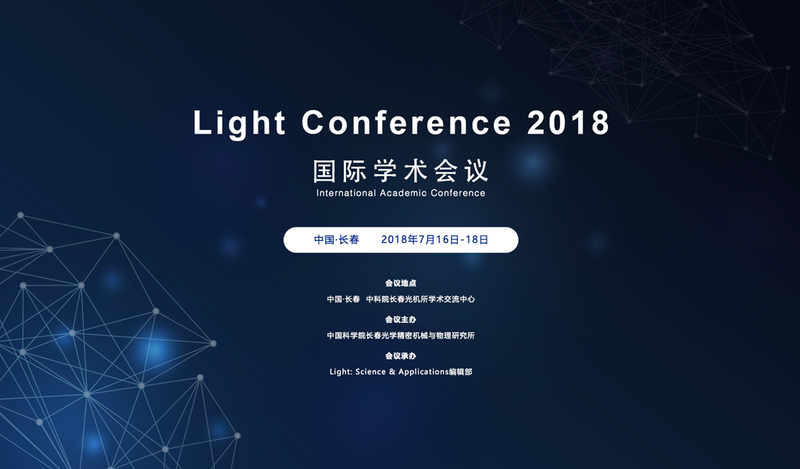 Light Conference-Young Scientists Forum 2019 will be held at Changchun Institute of Optics, Fine Mechanics and Physics, Chinese Academy of Sciences, on July 16-18, 2019. For this conference, the number of participants is limited to 260. All the attendees will receive an invitation letter after the acceptance of their submission and successful online registration. The exhibitors should also contact the organizers for the invitation letter. ¥ 3000 ($500 or €400) for general registration, ¥2000 ($300 or €270) for student registration. ¥ 3500 ($600 or €500) for general registration, ¥2300 ($350 or €300) for student registration.